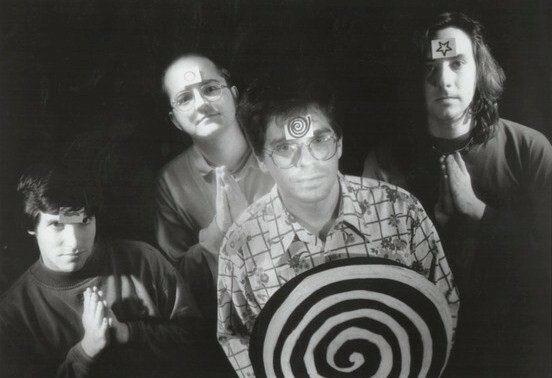 Hypnolovewheel was among my favorite American bands of the 80's and 90's (along with MX-80 Sound, Redd Kross, Christmas, The Method Actors and The Embarrassment). Each of these groups made music that was brainy, noisy, eccentric and fun. In ye olde Trouser Press Record Guide, Byron Coley wrote of Hypnolovewheel: "When they come up with something that's potentially too catchy, Dave Ramirez and Steve Hunking bury it under a small load of six-string noise." 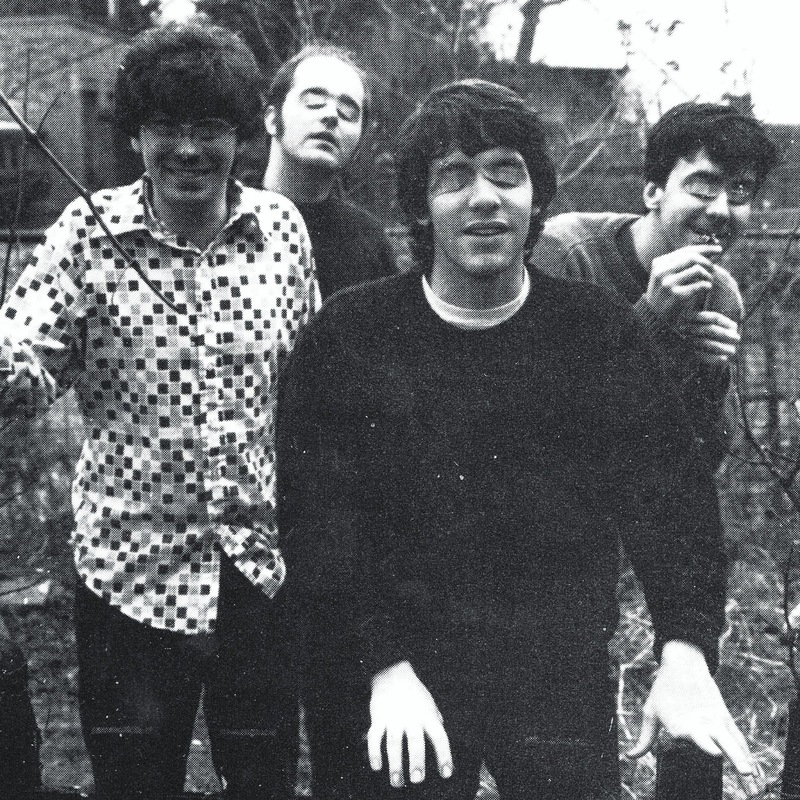 The band was also capable of a wistful beauty in songs like "Pleasant Valley" and "Black Hole Of Love". 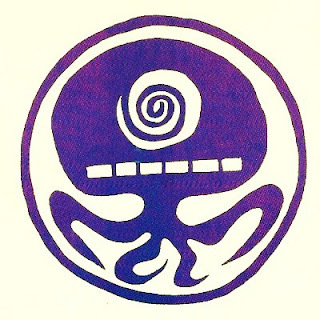 Hypnolovewheel released five albums between 1988 and 1993. There are also five singles and EP's, including a double 7" called Sybil which devoted one side to each member of the quartet. The Swinging Singles Club blog recently wrote about how ugly those 7" sleeves were. I can't say the LP's were prettier. Good news, my fellow Hypnolovewheel fans: these talented gents are still making music! Singer/bassist Dan Cuddy and drummer Peter Walsh formed a group called The Special Pillow!! Their first LP was released in 1994, and they came back with a folky fresh fifth album in 2018!!! Dave Ramirez and Stephen Hunking released two singles in 2018 as Grand Union!!!! The cuddly Stephen Hunking and hunky Dan Cuddy made two recent albums as the XL Kings!!!!! And all of these albums and singles are available on Bandkampf!!!!!! Hypnolovewheel reunited on several occasions to open for Yo La Tengo, as YLT are friends and fans of HPNLVWHL. I found one of those shows on Sugarmegs and tagged the songs. The set includes "Candyman", a strong contender for my Fall-Like compilation. Hope you enjoy these winsome loads of six-string noise and wistful beauty. + the singles for starters, enjoy your weekend.